It might seem that designing a website is a series of complicated technical maneuvers, but there are some essential creative factors as well. One of the most important features of this strategic process is developing personas – fictionalizations of your company’s ideal customers. Personas are a vital consideration in a well thought out web design strategy. Personas are created at the beginning of a web design project, using data from a combination of website analytics and market research. Growth driven design (GDD) examines many qualities of your personas, including personal attributes, behavior patterns and preferences. The results derived then shape many aspects of your website, directed at fulfilling the personas’ expectations. Yes, they’re fictional creations, but because they are data-driven, they resemble the actual users of your website. Don’t you want to know in advance that your site will provide a positive user experience to the very real audience you want to attract? To further clarify what they’re about, personas are often referred to as buyer personas or marketing personas. But whatever you call them, they serve the same function: to steer your website content towards the preferences of your target users. GDD is user-driven, so it makes sense that user preferences play a significant role from the very start of the process. Knowing in advance how to focus site content and design in a way that will foster positive user engagement is just one of the benefits of personas. Developing a range of personas is well worth the upfront time it takes; once they’ve been formulated and analyzed, you’ll gain a deeper understanding of your target audience, which will further inform the direction your new website will take. Your fictionalized personas play a key role in shaping all the customer-based elements of your website. For example, information from your research will directly inform your written content. Marketing emails, blog posts, promotions and other communications will be persona-driven, crafted for and aimed specifically at the individuals you most want to reach. The value of well-defined personas in growth driven design is enormous. Using research data about particular habits, wants and needs enables designers to construct site elements and content with those profile qualities in mind. It’s much easier to create strong messaging when you have a sense from the start of the kind of person you’re trying to draw in towards your enterprise. Inevitably, you’ll see positive results with this approach, such as increased traffic to your site and more effective user engagement. 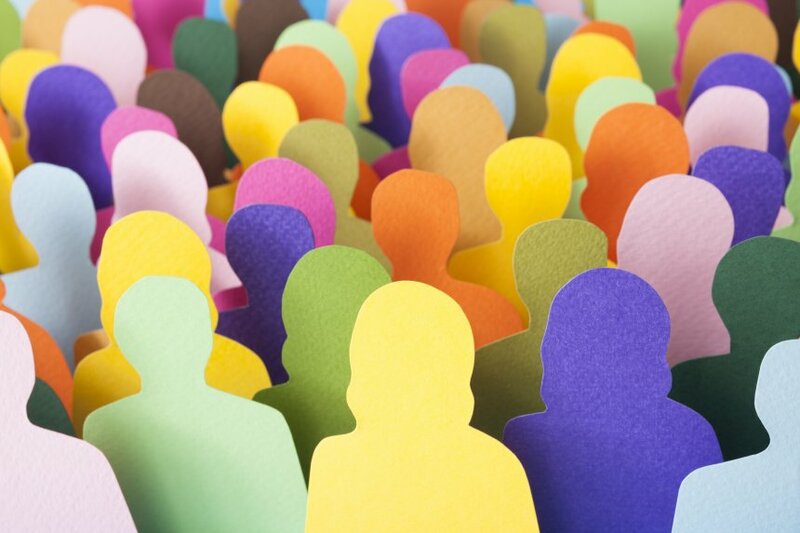 You may already have a general sense of the kind of people you see as ideal customers for your business, but creating personas gets a lot more specific. The process itself might seem a bit like game playing, so feel free to have some fun with it. You can even get the whole company involved. Different departments are bound to make varying contributions, and these can all dovetail into a stronger persona palette. The ultimate goal is a robust, user-focused website. With three-dimensional, carefully constructed personas, you and your customers will all be winners! Once you’ve come up with the concept for a persona, decide if it’s male or female. Then, it actually makes the most sense to give him or her a name. It may sound like a silly thing to do, but there’s a good reason for this: giving each persona a name “humanizes” him/her a bit and makes it easier for you to ascribe other details and attributes to the persona. Next, figure out the persona’s overall demographics, i.e., age, job, level of education, geographic location. Using market research your organization has already conducted about its actual customers will make this task easier. If you don’t have any, get started on it! Once you’ve settled on those basic elements, it’s time to get even more personal. Try to figure out your persona’s goals and challenges, at home, school and on the job. How do they best like to communicate, face to face, phone, email or text? How active are they on social media? This may seem a bit abstract, but remember, you’re creating a model customer, and if you know these things about them in advance, you’ll be in a better position to design a website that will meet their needs and create a satisfactory user experience. Be sure to remember to be authentic when creating personas; although they are fictional creations, their purpose is genuine. It can be helpful to use true-life examples of people who fit a particular persona, such as “middle school teachers who run in charity marathons.” Personal details such as these should be focused, not random. Make sure they’re relevant to the website you’re building. Don’t panic: you don’t have to come up with an infinite number of personas. Start with a few you deem most important and, if necessary, expand from there. The key here is to develop a deep understanding of each individual persona so that designing elements of your site to fit their needs and wants will come naturally. Like every component in growth driven design, your personas will evolve as your business evolves. Some will remain constant presences, others will become outdated and be replaced by newer, more appropriate ones. With GDD, you’ll always continue to collect and analyze data about your site visitors, so you’ll be able to recognize and implement changes to ensure maximum engagement with both existing personas and new ones. And this will translate into more successful interactions with your actual customers. As you can see, growth driven design is the smarter way to think about web design, and we’re here to help you get started with it. Sign up to receive your free download, “Getting Started with Growth Driven Design: A Comprehensive Package to a Modern Web Design Approach”.